American physicist, professor at Columbia University Brian Greene arrived in Moscow to present his multimedia project "Icarus at the Edge of Time" created in collaboration with Philip Glass. During this visit, he met some Russian journalists to speak about the Russian impact on string theory and on how to explain science to children. Based on a book by Brian Greene, "Icarus at the Edge of Time" is a futuristic reimagining of the classic Greek myth set in outer space where a boy challenges the power of a black hole and the forces of general relativity. The performance features a score by Philip Glass, as well as a film by AI + AI. It was released in Russia on the stage of Na Strastnom Theater Center on September 19. Music is performed by the Youth Symphony Orchestra, conducted by Leonid Nikolayev. "This story means that when you don't do what you supposed to do, you pay the ultimate price. As the scientist you don't have to do what everybody tells you to do, if you want to break through. You don't die for great acts - you change the world by great acts. And it would be a painful process, but that's really what the science is about. 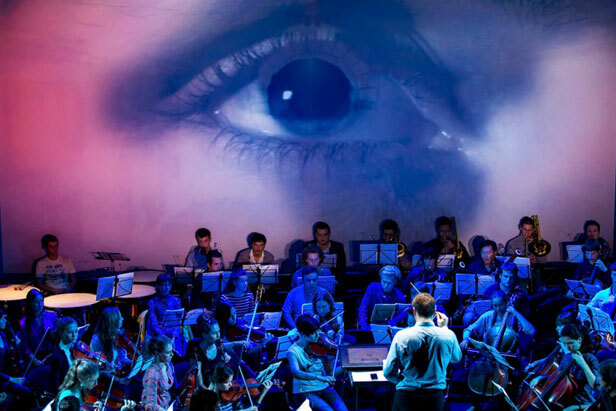 Our project allows audience with no connection to science to go on a journey through music and through film and through story and recognize that science can affect your life in a very deep way," Prof. Greene said.